Share the post "Akagaara Agu Shabu-Shabu is so superb that you will be addicted!（Ujidomari. Ginowan City)"
At Akagaara, you can enjoy Shabu-Shabu with Okinawa's brand of pork, "Yanbaru Aguu". 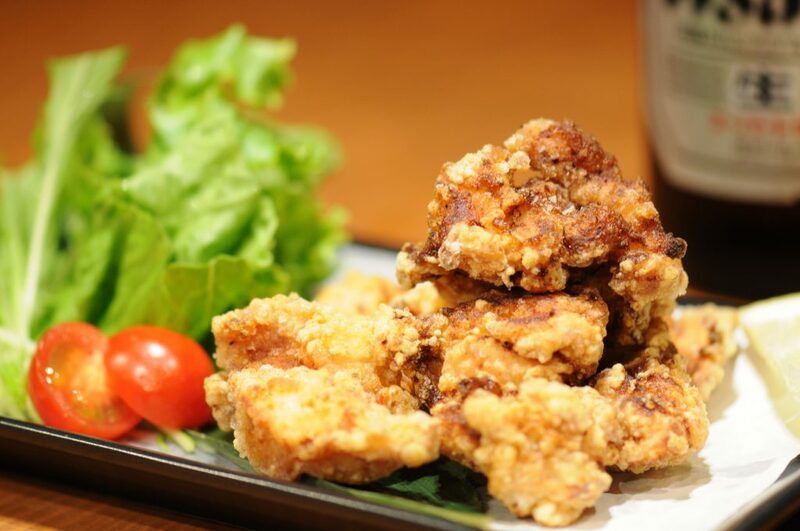 The Yanbaru Aguu is a popular pork with a more mouth-watering taste compared to other porks. It's so tasteful that it can melt on your tongue. 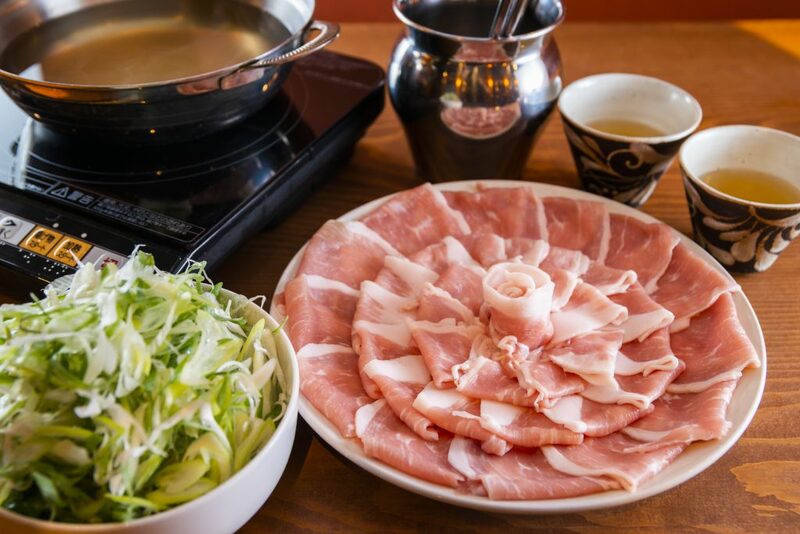 Since we have so many ingredients, you can enjoy the variety meat we have by simply eating Shabu-Shabu. We offer pork loin, belly, and ham. Our chef's homemade Japanese-style sauce with Yamamori spring onions goes great with Shabu-Shabu! You will enjoy this without any doubt!! Enjoy our fresh sashimi that was prepared well by our chef! We also recommend fresh seafood, where the chefs themselves visit the fishing port just for pleasure. In addition to tuna, we also have other seafood such as island octopus, salmon, and white meat. Our huge portion full of 5 pieces of sashimi is extremely popular. You can enjoy our other sashimi from time to time with our thick tuna and salmon as the lead. We take great care at providing an enjoyable and aesthetically pleasing atmosphere for your meals! 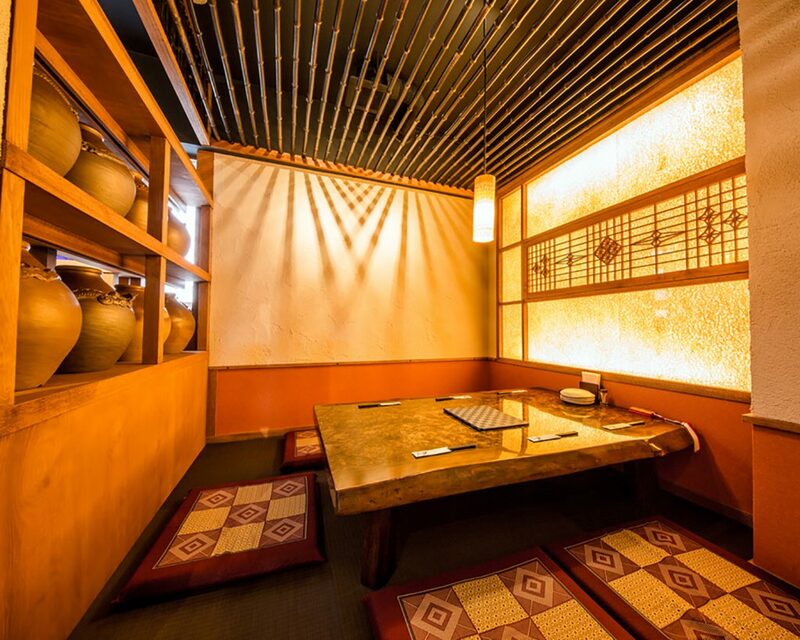 In the calm atmosphere of Akagaara in the restaurant, you'll discover our shisas on every corner. Our wooden floor is very comfortable for your feet after taking off your shoes. It uses the traditional Japanese traditional construction method called "Naguri Yuka". The moderate unevenness will make you feel relaxed. We have counter seats for those who come alone. Feet dangling seats, private non smoking rooms which is popular for children and families are also available. 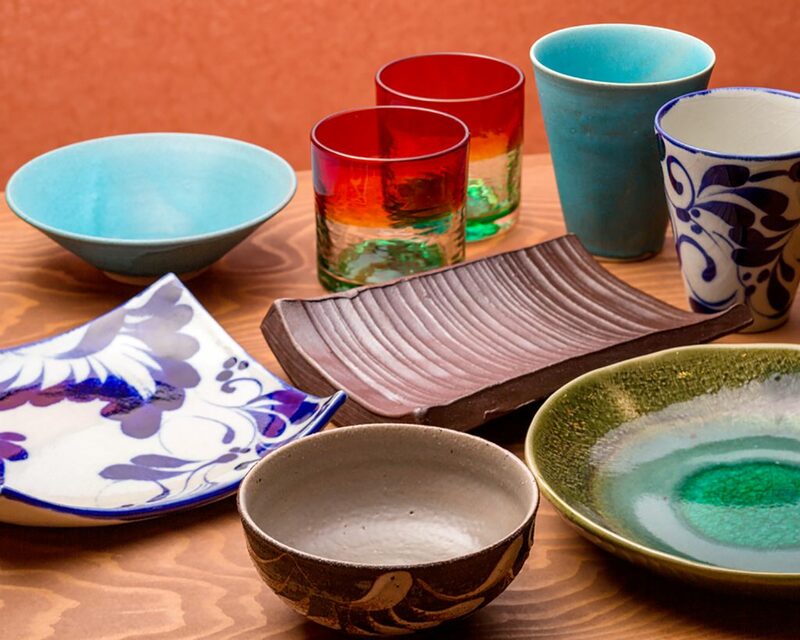 Our dishes made in the "Shinseitoubou"factory in Naha City (called Yachimun), enhance the beautiful look of the food. Our awamori glass uses the traditional Ryuukyuu style glass made at "Ryuukyuu Glass Craftshop, Umikaji." The name of the glasswork is "
"Sunset at Zanpa. "Feel Okinawa through the glass. 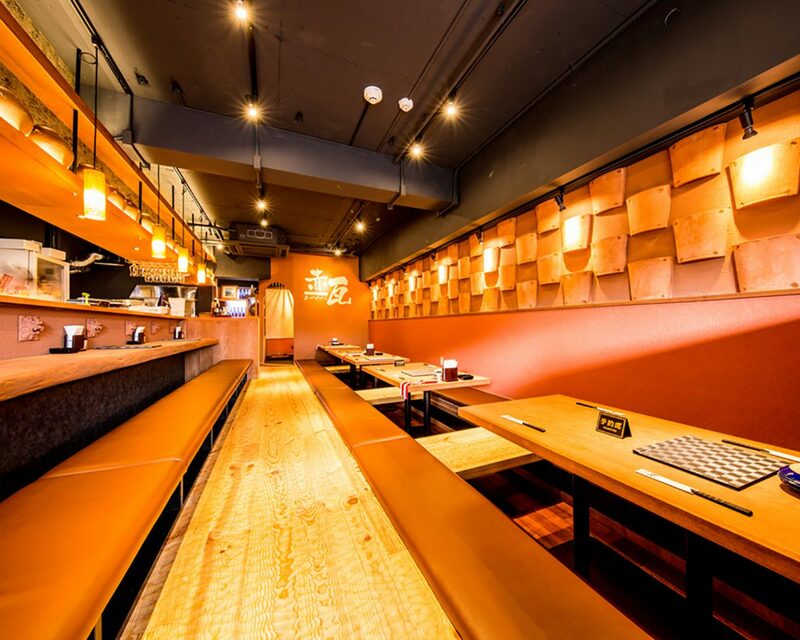 Order the Aguu Shabu Shabu for yourself, or enjoy other meals together! 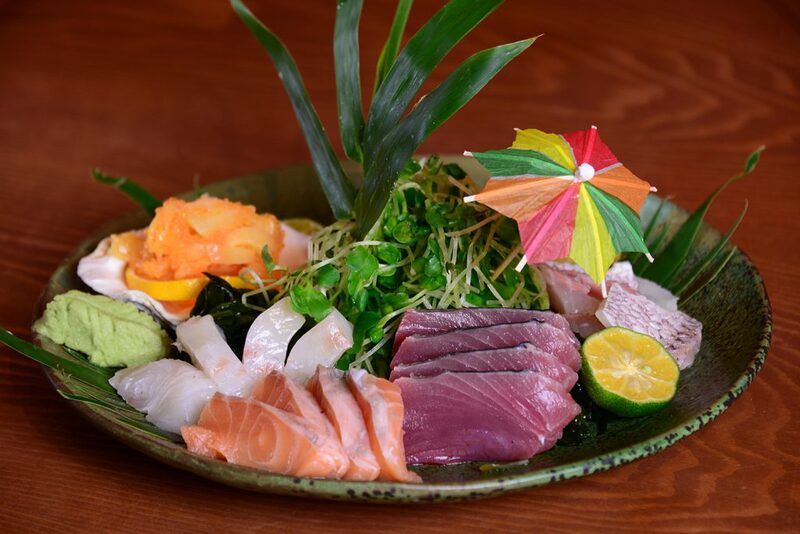 You can dine in and try our sashimi and Okinawan cuisine that you love. It will be nice to have fun talking about memories of your trip while drinking a wide variety of alcoholic beverages such as Awamori, Orion Beer, Brown Sugar Umeshu, and Japanese sake! 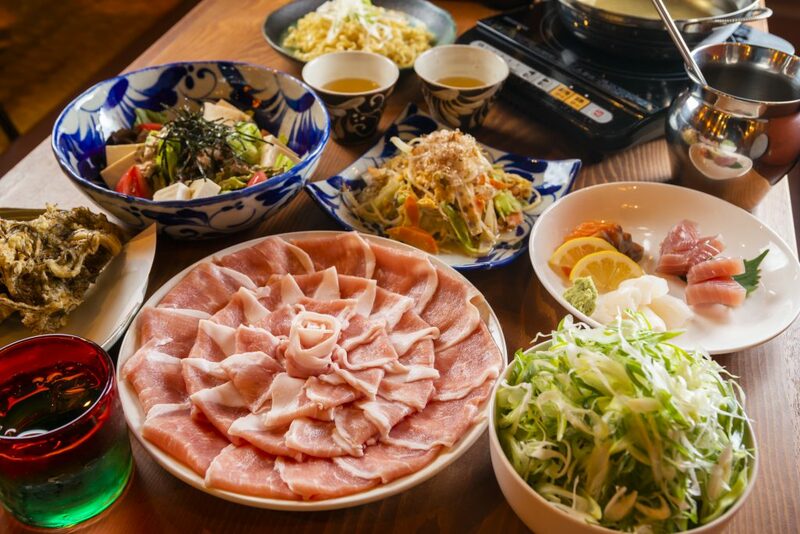 We would like you to enjoy the Okinawan atmosphere with special cuisines and the dish arrangements you've hoped for at "Okinawan food and Shabu-Shabu restaurant! "Akagawara"
2 spaces available by the store. 2nd parking lot: 8 spaces available. Eat your fill of suberb shabu-shabu and Okinawan cuisine at our restaurant. Free Agu Shabu-Shabu Pork Leg (for one person)! * The picture shows portions for 4 people.